The minnies recently went on a weekend retreat. They needed to bring a bathing suit to wear, so we pulled out the stash from this summer, just a few months ago, only to discover that nothing fit! We decided to go to pick up a Lilly Pulitzer tankini, a trusty staple in their summer wardrobe. But to my surprise, the size 14 minnies' tankini looked more like a bikini when Alexia modeled it for me! There was probably 4-5 inches of skin between the top and the bottom. 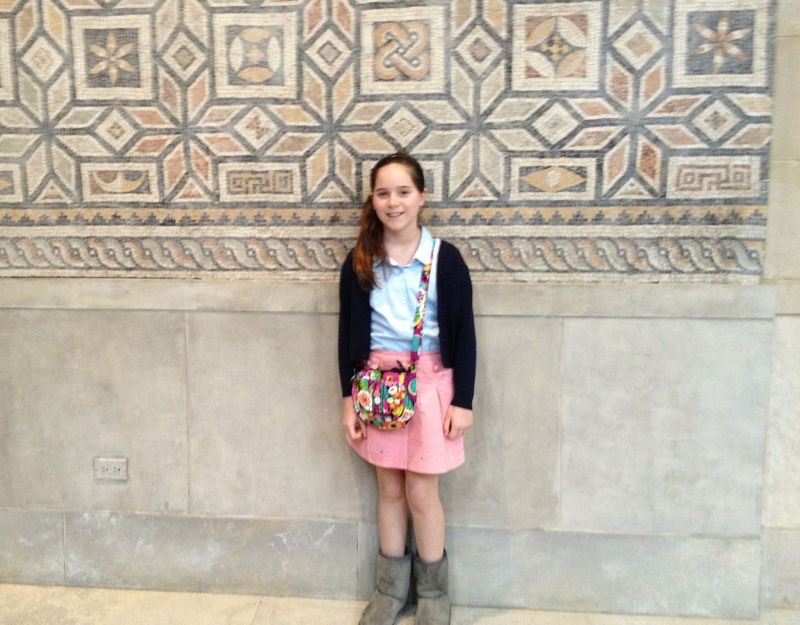 Finding age appropriate clothing that fits tweens is a huge challenge. Luckily, I have some of the minnies recent outfits that may inspire your tween. The girls are have always loved fashion, but now that Natalia and Alexia are in middle school, they're particularly interested in what looks fashionable and cool to the 11 year old set. Alexia is wearing a critter embroidered skirt from Vineyard Vines, a button down oxford from Lands' End, and a navy cardigan from Marks and Spencer with a pair of gray UGG boots. She loves Vera Bradley and has so many things in the Va Va Bloom print. All of these clothing items are girls' sizes. Alexia can wear both girls' and women's shoes. Natalia models a soft corduroy dress from J. 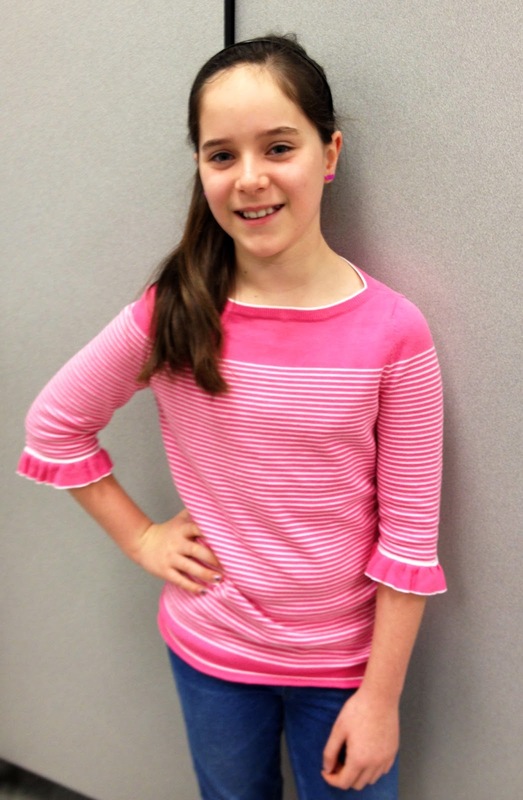 Crew's clothing line for children, crewcuts. The Bailey triple button UGG boots are her favorites and she wears them several times a week! This outfit is perfect for school or church and looks polished and fashionable. 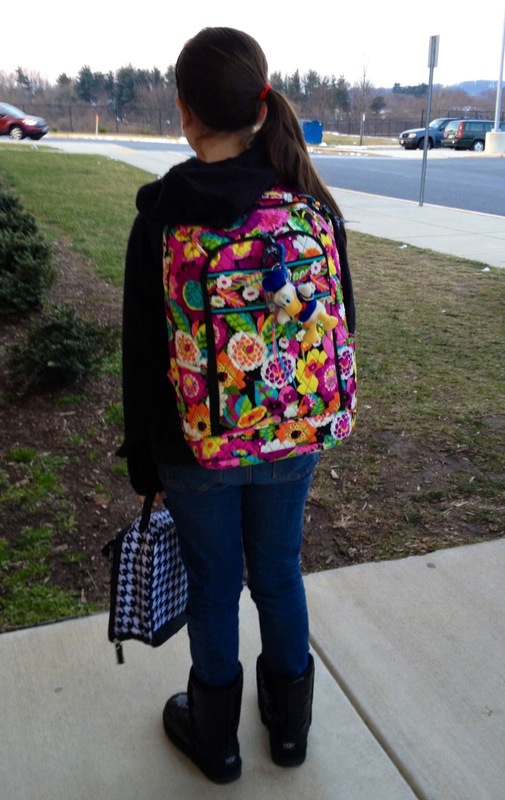 Alexia loves her Vera Bradley backpack for school. This is the Campus Backpack in her favorite print. She loves to collect key chains from all of our travel adventures, so she clipped on the Donald Duck key chain to her backpack. Matching pencil cases and a make up tote fill the school bag. The Black Sparkle UGG boots are another staple item in her daily school "uniform." For jeans, we've had great luck at Target and Old Navy! The price is fantastic and the length is always just right. 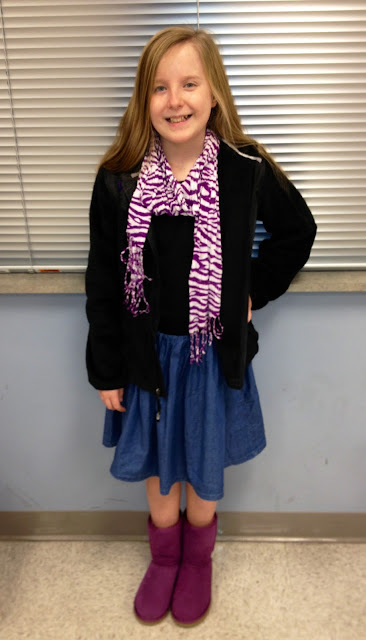 Natalia loves zebras and purple, so this Target scarf is one of her favorites! The minnies wear scarves often to add flair to basic tees and jeans. Here she pairs the zebra scarf with a t-shirt and chambray dress from United Colors of Benetton. I remember collecting stacks of Benetton sweaters back in the day and am pleased to find a good selection from Benetton at Nordstrom in the children's department. Purple UGG boots complement the scarf perfectly and add another pop of color to a relatively dark outfit. Both Natalia and Alexia usually wear a monogrammed North Face hoodie every day instead of a winter coat. Although I wish they would wear one of their winter coats, they say that they don't have space in their lockers for a coat. How things have changed! Just last year, elementary school parents regularly received reminders to send their child to school with gloves and hats and now middle school students don't even wear coats! As I sit in the car line at school, I notice that the minnies are right...no one wears a coat! One of the minnies' favorite stores is my closet! Ha! 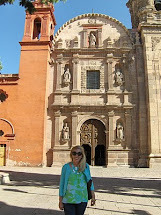 Alexia is wearing a Lilly Pulitzer sweater from my closet, doesn't it look great? What are some staples in your tween's wardrobe? When did they get so big? And thank you for keeping them looking like children. My daughter just loves Crew Cuts and Old Navy. Thankfully I like both of those lines too!